After spending a year schooling in Japan when I was younger ,there is nothing I love more than good Japanese food. While I wish that I had brought home from Japan the talent of making Japanese food ,but I can’t even manage to make a decent bowl of sticky rice. Since I lack the talent of making palatable Japanese food, we dine out for Japanese food on a regular basis. 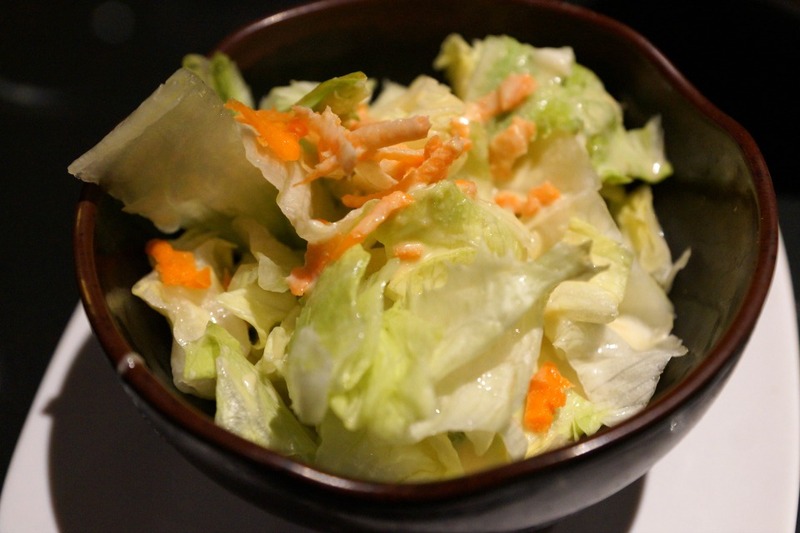 While we have our regular local places for Japanese food, we are always looking for somewhere new to try, and we recently discovered a new favorite – Shiki in Orange. 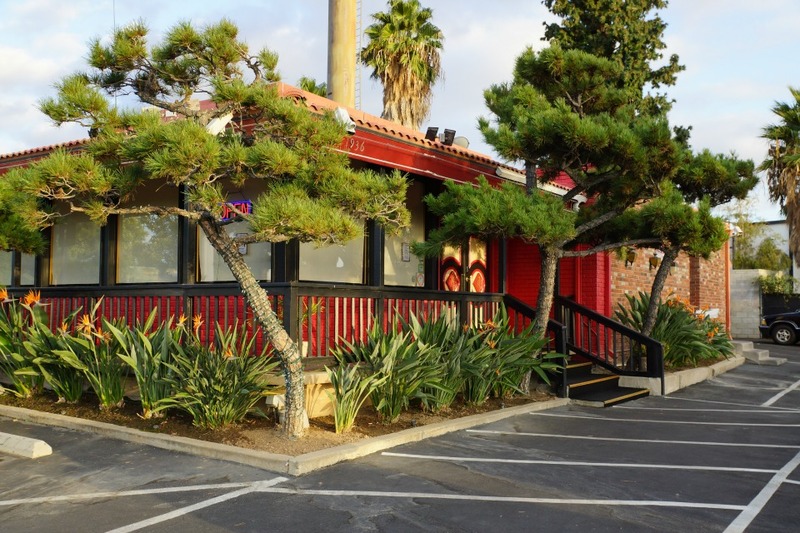 We had driven past the restaurant what feels like a million times and we were excited to bring our kids to try out this popular Orange County Japanese restaurant. 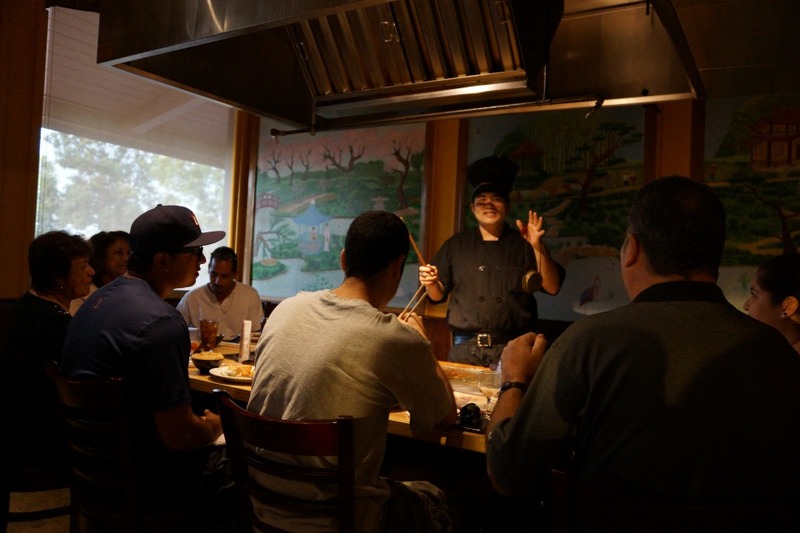 Shiki has been serving the Orange County community since 1975 offering teppanyaki, sushi, and traditional Japanese cuisine. 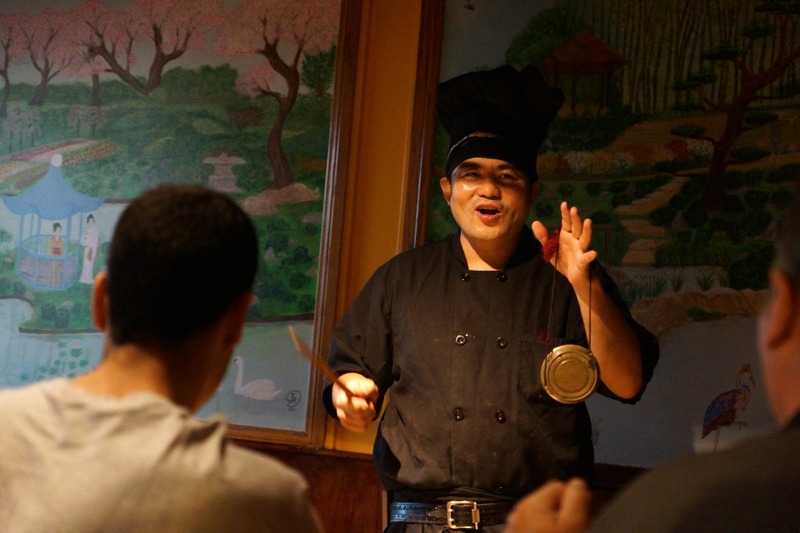 Inside of the restaurant are private teppanyaki tables, sushi bar, and multiple family tables. We took our seats in the dining room and were about to embark on an epic culinary adventure. We started off our meal with sushi for us and the kids. 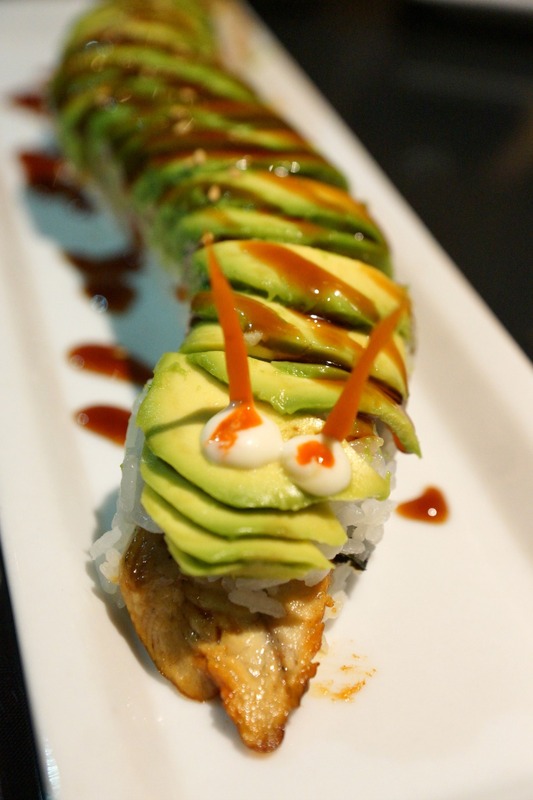 We ordered the kids the caterpillar roll that came looking just like an adorable caterpillar that they ate within minutes of the dish arriving at our table. While the kids were savoring the fresh fish in the caterpillar roll, my husband and I, shared our favorite crunchy roll. Both of the sushi dishes were beautifully presented, fresh and delicious. 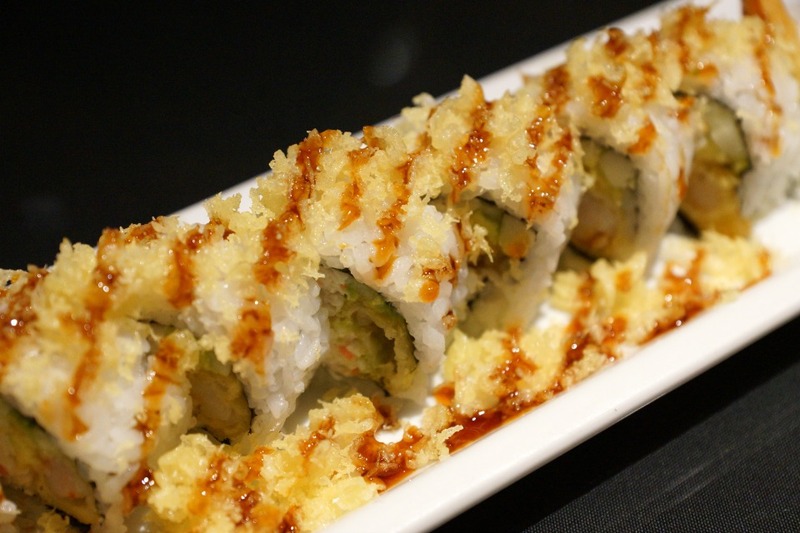 We could have made our whole dining experience at Shiki just by eating their sushi. For the main course, my husband and I shared the dinner for two. The meal was large enough for a family of four to share and priced at only $40.95. 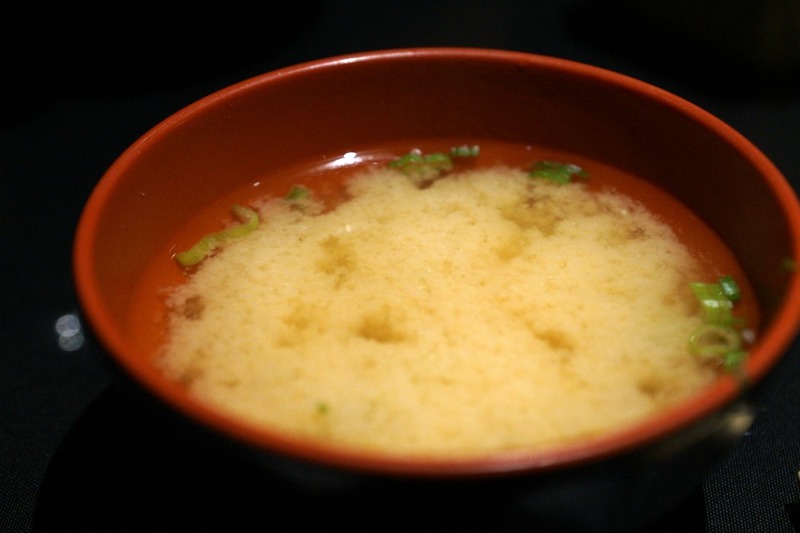 The set menu item began with a fresh salad and bowl of warm soup. 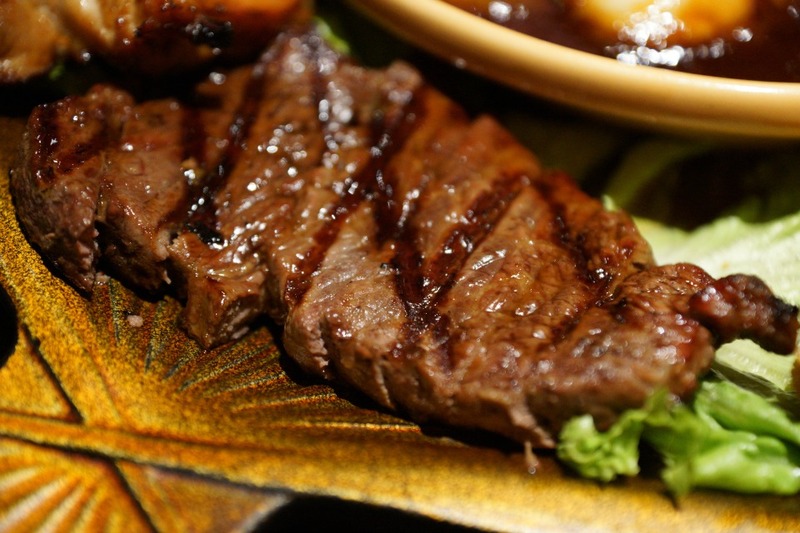 The meal had the choice of two choices including New York Steak teriyaki, shrimp and vegetable tempura, and chicken teriyaki. Plus the choice from one of the following; baked mussels, chicken kushi, sesame chicken, or shumai. 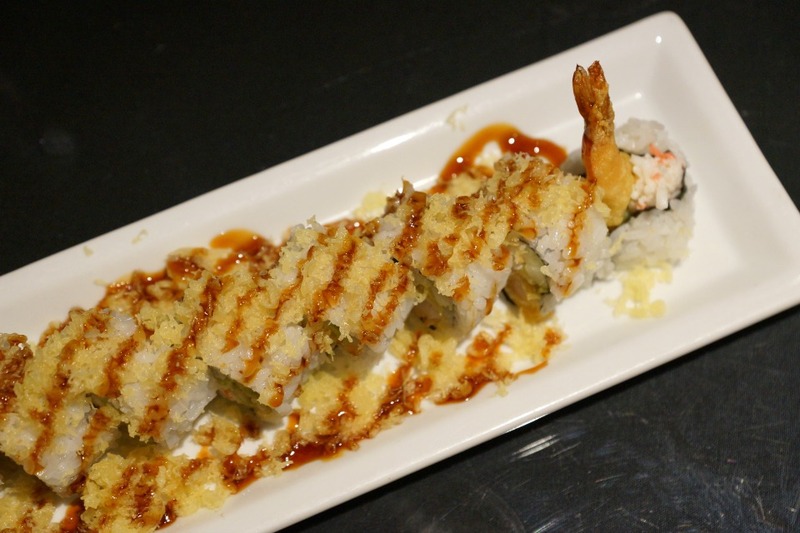 Finally, there was the option of selecting two of the following: sushi (4 piece of salmon, shrimp, tuna, white fish and 4 pieces of California rolls), Salmon teriyaki, fried salmon, tonkatsu pork, chicken cutlet, chicken teriyaki, fried calamari, fried oyster, or scallop teriyaki. 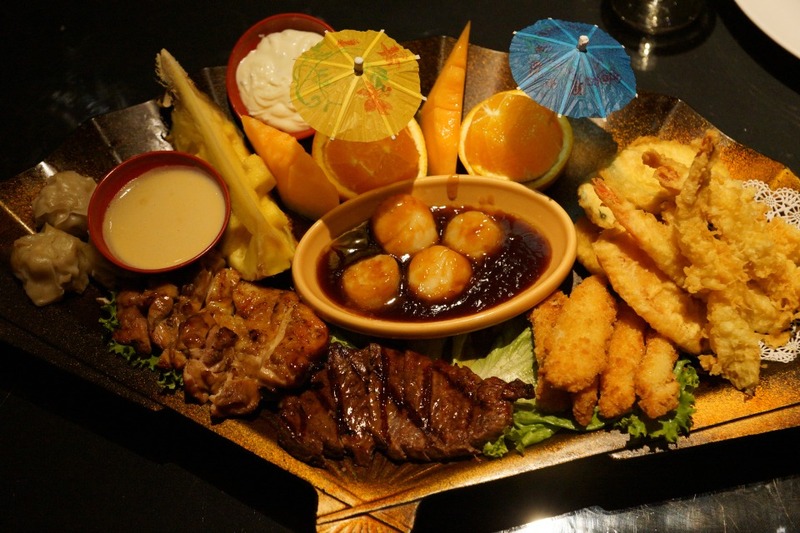 With so many choices and having, it is so hard to decide we selected the New York Steak teriyaki, shrimp and vegetable tempura, chicken kushi, chicken teriyaki, and scallop teriyaki. All of the food came put together with a beautiful presentation complete with adorable paper umbrellas. 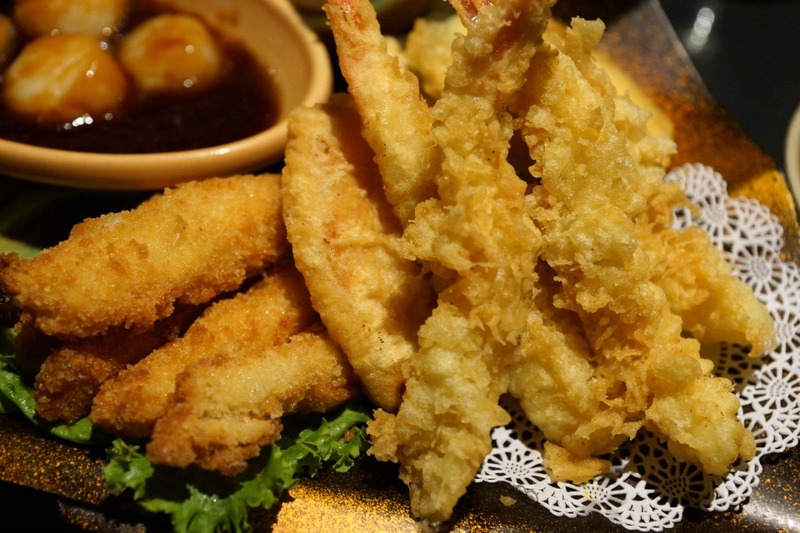 The tempura was cooked to perfection and the teriyaki as well. They were both seasoned with the perfect amount of flavor in their sauce. We were able to share a meal with two of our children and still have leftovers to bring home. Normally, when we dine out for Japanese food, my son with food allergies can only eat white rice (and we have to feed him before). When we were at Shiki, they guaranteed that they could accommodate him and were able to prepare him chicken with just salt and pepper. He was able to eat the dinner without any signs of an allergic reaction showing me that they truly have a commitment to doing their best to avoid cross contamination. The one thing about this restaurant that made it stand out to me was the staff and the owner. During dinner service, I watched the owner go around to all the tables with young children and offer them a small toy after eating their dinner. It was a special touch that only a small business restaurant owner can give customers. It was the highlight of my kid’s dinner, and they left feeling appreciated for selecting Shiki for our dining option. 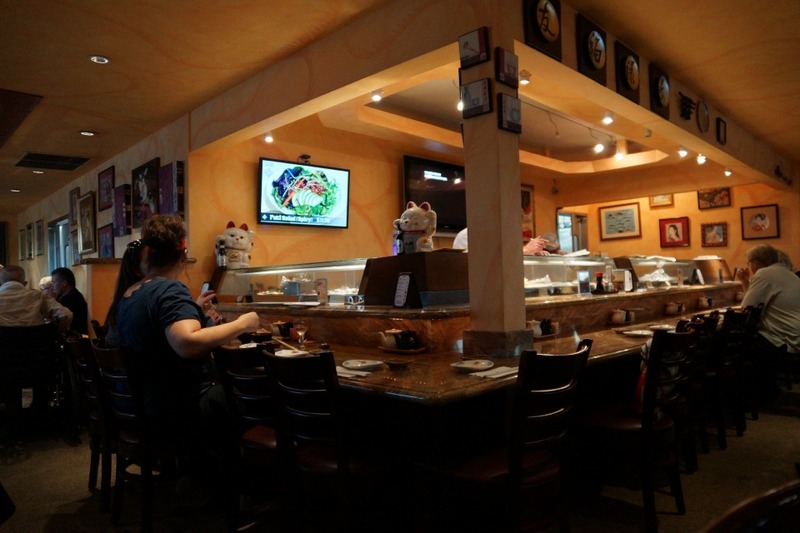 Shiki is a true gem of Orange County offering Japanese cuisine, ambiance and hospitality that can’t be found anywhere else in our community. I highly recommend giving it a try with your family – I guarantee that you’ll fall in love with the restaurant as much as my family did. 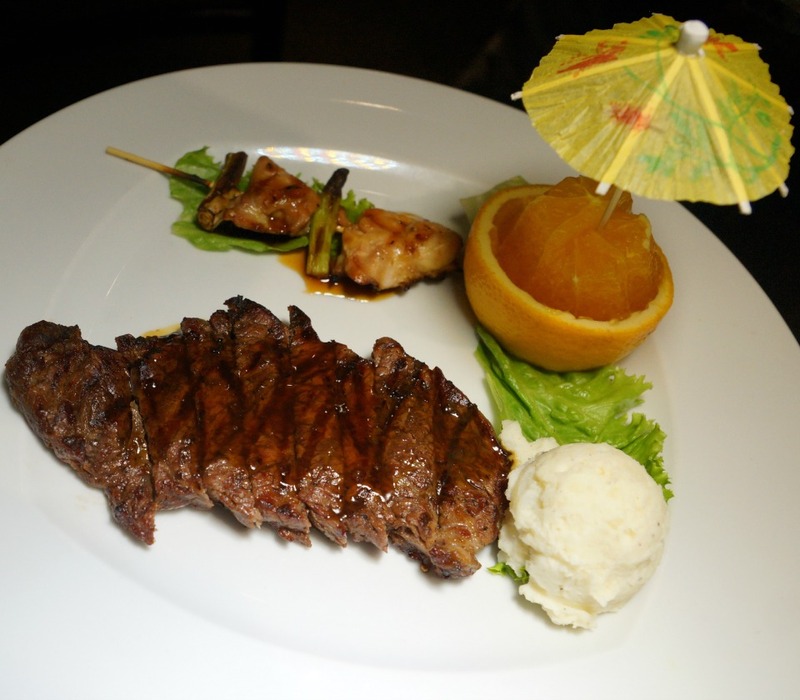 Shiki is located at 1936 E Katella Avenue, Orange, California 92867. 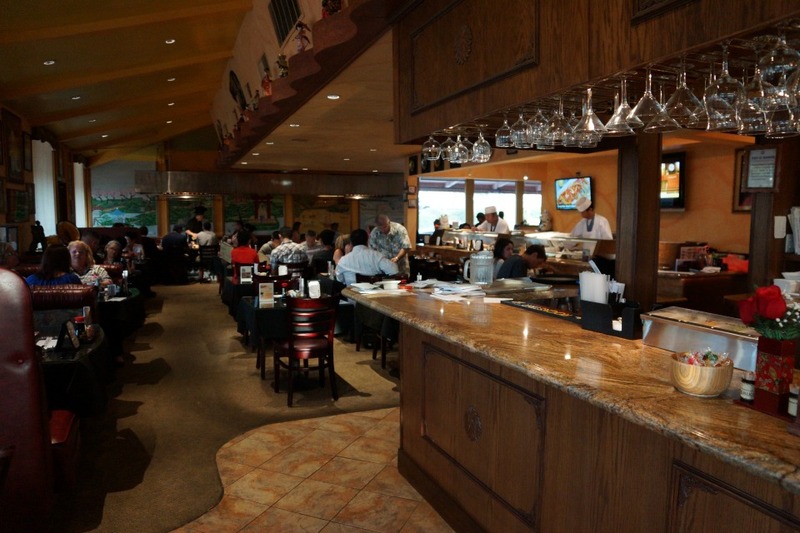 It is popular, so reservations are recommended by calling 714-633-1765.